This project played with the suggestion that a scent can be sprayed onto a person and make them instantly blend seamlessly into the world of art. 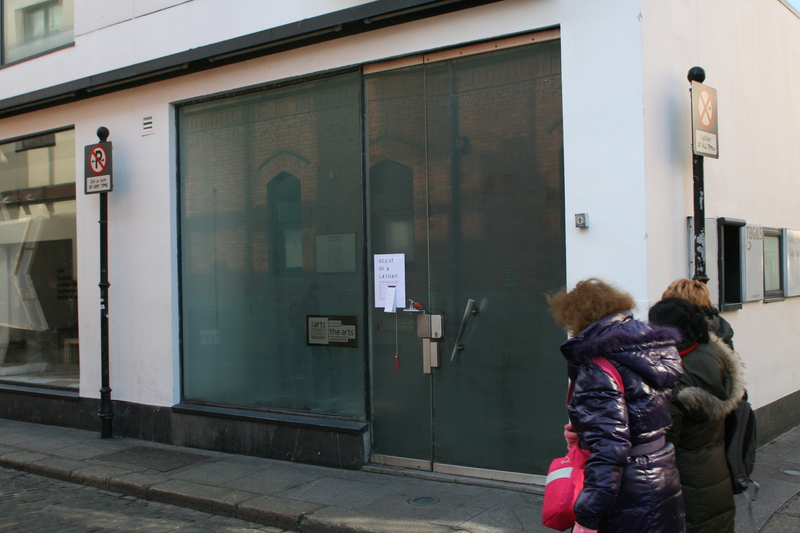 Much as the world of marketing does for cosmetics and perfumes, this project aimed to convince its public that they can in fact change by the simple act of using an innocuous spray. 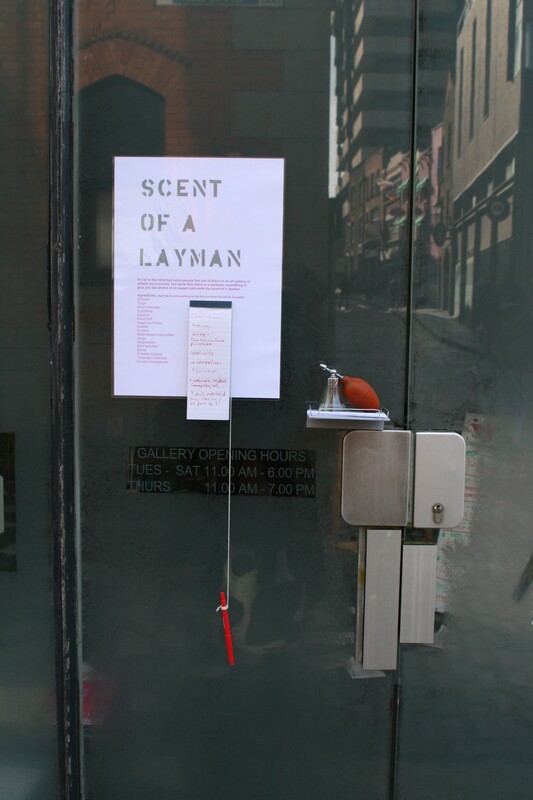 The Scent of a Layman project was installed at the entrance to Temple Bar Gallery, Dublin as part of RE:Public.